Netto's Game Room: Youtube App Now Downloadable for the 3DS. Youtube App Now Downloadable for the 3DS. To all 3DS owners: Youtube is now officially for download! The long awaited Youtube app is now finally here. 3DS owners have been clamoring for the ability to watch Youtube on their 3DS' and now it's officially been released. To make a good thing great: it's free. Totally completely 100% free. All it takes is 111 blocks of save data, no bigger than two or three downloaded Game Boy games, and a compatible SD Card. Thankfully all 3DS systems come with compatible SD Cards, so any player who hasn't changed their cards is able to download it. If you have changed your card, then it may unfortunately be incompatible with the new Youtube app, but try it out first. 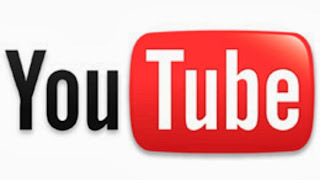 With the Youtube app, all Youtube videos compatible for the latest game systems can now be viewed on the 3DS. That does mean that they're might be some videos that do not work, the ones that are incompatible with mobile devices, but a majority of videos work just fine. Have fun enjoying Youtube on the 3DS!